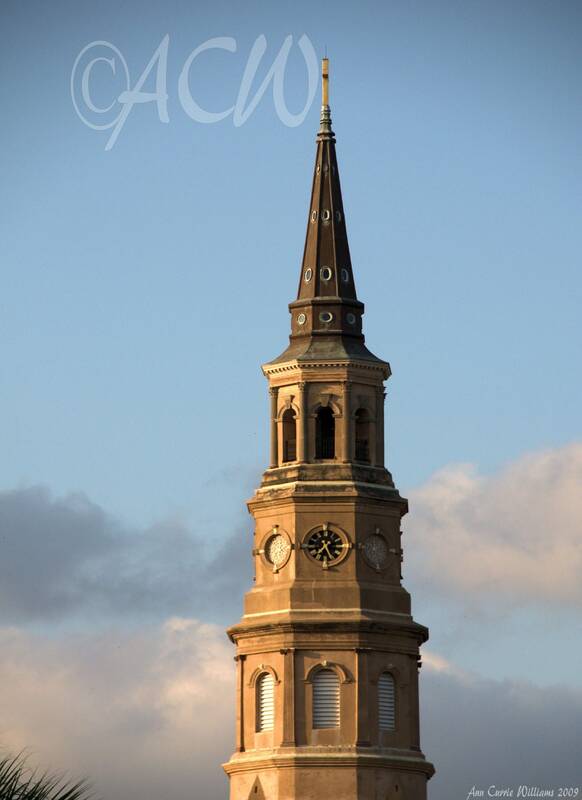 the steeple of historic St. Phillips Episcopal Church in Charleston, South Carolina in the blue sky. The church dates back to 1680. A colorful photgraph.